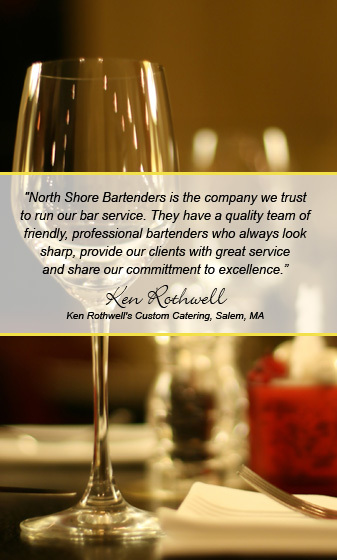 North Shore Bartenders will work with you prior to your event to ensure that our services fully meet your needs. retailers in your area who will deliver. North Shore Bartenders provide first-class service at competitive rates that include labor, gratuity, liquor liability insurance, and rentals of equipment when requested. For a consultation on your event call us at 978.766.4673.